"Software that provides Efficiency in the control of incidents at the organizational level!" 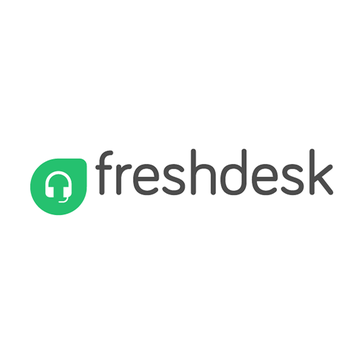 Freshdesk is an extraordinary softwre that allows to efficiently manage the incidence control at the organizational level, I love it because it provides a business domain that allows the reception of requests in a formal and personalized way, it shows organized the tocket received as well as visualizing the status of each one. of them also allows to share with the members of the work team in order to streamline the response process to the client, attach documents and images that support some type of information, does not require download processes, its panel is simple to use, it has a variety of features that make the customer response process more fluid. It really works perfect I have no complaints is a great tool that allows to achieve customer satisfaction in less time. This application has an explanatory video during its registration which it is advisable to visualize before starting to use it in this way to use all its features, it is a very useful tool that makes the process of customer service more fluid, giving a timely response which is recommended for all companies, especially those dedicated to sales of services or consumptions. It allows to be more efficient and to organize the incident control in an organized way, responding to the client on time, achieving productivity goals in less time, it is an excellent tool especially for my work in customer service where many times it can generate some kind of inconveniences. Freshdesk makes This process is more interactive and easier to carry.